A last-gasp goal by Sean Carey in injury-time handed Moyle Rovers a 2-7 to 0-11 semi-final success. THE TWO CLUBS that have shared the last six Tipperary county senior football titles were both knocked out at the semi-final stage today. Reigning champions Clonmel Commercials and Loughmore-Castleiney, most recent winners in 2016, both lost their last four games after dominating the scene with three titles apiece since 2012. Instead there is a chance for Moyle Rovers, victors last in 2009, and Ardfinnan who triumphed in the 2005 final, to grasp silverware on Tipperary county senior final day. A last-gasp goal by Sean Carey in injury-time handed Moyle Rovers a 2-7 to 0-11 semi-final success over local rivals Clonmel Commercials in Cahir. It looked like Seamus Kennedy had struck the winning point moments before when he edged Commercials in front 0-11 to 1-7 before they conceded that late goal. The teams were tied 0-3 apiece at the break before Commercials forged in front early in the second half through Jack Kennedy and Jason Lonergan. A goal from a penalty by Liam Boland in the 41st minute was a boost for Moyle Rovers, drawing them level at 1-4 to 0-7. The teams traded points thereafter before the late drama unfolded. 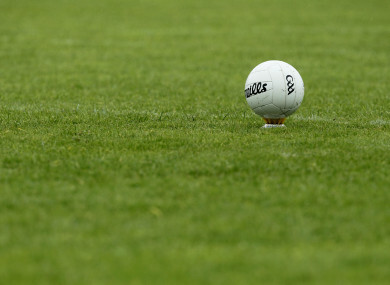 Manager John Evans steered Ardfinnan to a 0-9 to 0-8 success over Loughmore-Castleiney in Holycross in their semi-final. Loughmore were in front 0-6 to 0-5 at the break but Ardfinnan came from behind to book a first final spot in 13 years. In Clare, 2015 champions St Joseph’s Miltown-Malbay are through to the decider after a 1-15 to 1-8 semi-final success over Cratloe. The victory sets up a final against Ennistymon, through to their first final after dethroning holders Kilmurry-Ibrickane yesterday. St Joseph’s put paid to the ambitions of Cratloe, who contest the senior hurling decider next Sunday, of doing the double this year in Clare. The Miltown Malbay club were ahead narrowly 0-8 to 1-4 at the interval before moving 1-9 to 1-5 clear by the third quarter and running out victors at the final whistle by seven points. Email “Tipp football champions knocked out as Cratloe's double dream in Clare ends”. Feedback on “Tipp football champions knocked out as Cratloe's double dream in Clare ends”.